The debate over the structure of health insurance and how premiums are funded is largely irrelevant and meaningless. Politicians who constantly repeat the phrase “free market” in relation to health insurance are spewing double talk, based on either ignorance or deliberate propaganda. The actual problem is the pricing of medical services. Insurance premiums are just a symptom, the disease is the rigged pricing of medical services. 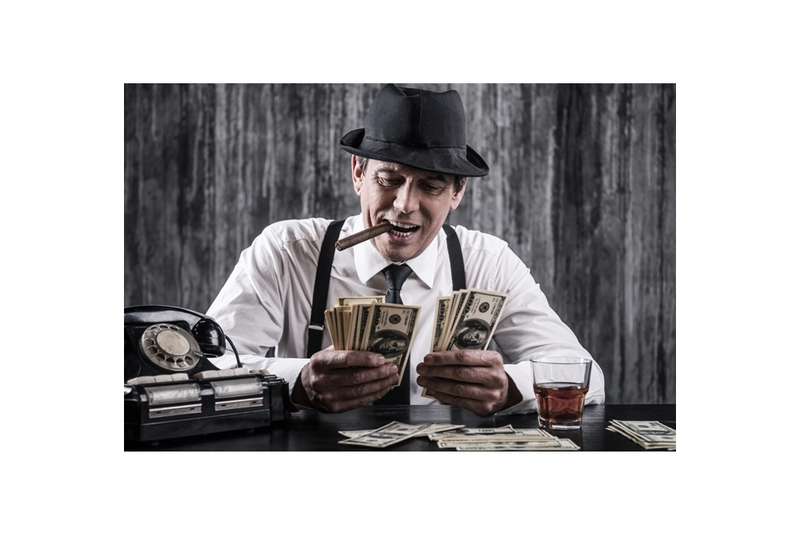 Was Healthcare Pricing Structured by The Mob? The elimination of free market price competition by medical service providers (not health insurers) is the reason U.S. healthcare costs are $10,000 for every man woman and child, 50% more than the next most expensive nation on earth. Medical providers give each of us “an offer we can’t refuse” like the Godfather: Sign here and agree to pay whatever we say – if you want to stay alive. There is no realistic way for consumers to seek fair value for their medical services. Make no mistake, the pricing problem in healthcare services is not a mere lack of price transparency. The problem is that there are no actual prices at all. It is a purely predatory, vicious system. Ask any hospital, lab or physician the price of anything and all you ever get back is a question: “What insurance do you have?” A simple blood test for cholesterol can range from $10 to $400 or more at the same lab. Hospitalization for chest pain can result in a bill from the same hospital for the same services ranging anywhere from $3,000 to $25,000 or more. Your price depends on how much can be extracted from you on an individual basis, often at your most vulnerable. If you are out-of-network or uninsured you pay the highest prices. Industry apologists claim that everyone is actually “charged” the same amount, it’s just that we each receive a different “discount.” With healthcare, which you cannot skip and you cannot shop, it’s the same as being robbed at gunpoint. Congress must compel medical providers to play by the same rules that apply to all other sellers of consumer goods and services. They should remain free to set their own prices. However, providers must be prohibited from billing each patient a different price for the same service. Legitimate pricing of health services will empower patients to be able to shop for fair value. Legitimate pricing would also mean networks are obsolete. We could use any healthcare provider in the nation without being price gouged for being out-of-network or uninsured. Without networks, Americans would no longer be limited to treatment by a handful of local health providers pre-selected by their insurer. Networks are an offensive and costly restriction on choice which nobody should tolerate – especially when making life or death decisions. Real free market competition by healthcare providers will reduce health expenditures by a minimum of 33% - overnight (and the USA would still have approximately the highest cost per person healthcare on earth). Congress must simply require that all Medicare providers post legitimate prices for all non-Medicare patients. The 1986 Emergency Medical Treatment & Labor Act requires all Medicare participating hospitals to provide emergency treatment to non-Medicare patients regardless of their ability to pay. It is the reason a hospital can’t toss a destitute woman, about to deliver child, onto a sidewalk at midnight. Virtually all hospitals and labs, along with the vast majority of physicians participate in Medicare. Adding legitimate pricing to the requirements for Medicare participation will end our rigged healthcare system utilizing a mechanism Congress has previously employed. In conclusion, the legislation proposed below illustrates how a Corrupt Congress could fix our sick system - in 3 sentences. Isn't this what the Clintons tried to do? You say, "The health industry spends more on lobbying than the defense, aerospace, and the oil and gas industries combined." I'd like to believe that you are using factual information, not guesstimates. Since the military industrial complex is massive in and of itself, your claim seems weak at best. You have my email, so, please share your resource for making such a claim. We pay more for less and costs increase.. when they kill the golden goose (us) then what? They will be out of business, so what's the end game here? Yes, the price should be posted and be the same for everyone. I have been preaching these same words over and over. Cost methodology is the root cause of the problem. Readers - tell everyone you know. Consumers should be the first to know the price of goods and services in their medical care. This should make the Republicans, who argue strenuously for personal responsibility, very happy. Insurance profits have driven this system to the degree of inequity we have been exeriencing! Medicare rates are negotiated to be very low. Everyone not on Medicare pays a higher rate, so HOW can Medicare rates go DOWN if everyone uses them as the base rate from which to up-charge ??? There needs to be more media coverage of the way health care is priced. Health care has the legislative group in their back pocket ! I totally agree with the article on Healthcare Pricing. All medical services should be posted where you receive services. No changes in discounts or increases should be allowed. No insurance company should pay more than the listed price and our copay should be a small percentage of the medical service cost. I am getting ready to retire and the fact that healthcare pricing cannot be predicted is very scary to someone on a budget. Medicare for all/or a National Health plan,. Negotiate drug prices. Published Pricing is Wrong. Better Doctors will Charge More. It is apparent "For Profit Health Care DOES NOT WORK." It is unconscionable to put profits$$$ over the well being of those most vulnerable, children, women and the elderly. 1) I live in a "rural city." When my aunt's mother was hospitalized, she paid what she could, when she could. And when she died, the hospital wiped out the rest of her bill (yeah, that still happens in some places). Heck, there's probably doctors around that would accept a painting for their office in lieu of monetary payment. By outlawing "discounts," you outlaw a hospital's ability to work with a patient. 2) "all other sellers of consumer goods and services" (with the sometimes exception of utilities in winter months) don't HAVE to provide services to people whether they pay or not. Hospitals DO. A major reason for the high prices is to recoup costs from people who are unable to pay, or whose insurance refuses to pay the full cost of care. When did healthcare start to skyrocket? Around the same time EMTLA went into effect. WHAT A COINCIDENCE. Single payer healthcare which cuts out insurance companies and thus eliminates the 30% they skim off the top, as well as negotiating fair and equal drug prices instead of having big pharma raise the costs of pills by 500% will cover all Americans birth to death and save Medicare costs. Whoa, that makes way too much sense. How would everyone get their piece? We in the US still have the illusion that we are number 1 in the world for healthcare. Only the cost is first. Just looked at my insurance statement, my orthopedist charged $837 for a routine office visit. Luckily I had insurance, even with a$3000 deductible. I have no idea how an average family can do it. Must be a better way. I am an RN and do believe in the single payer system. You nailed it. Without this simple solution I am afraid this country and our economy is doomed. The plan to publicly post prices of medical services to be used uniformly seems as if it would go a long way towards competition that would bring down prices. (How about the same for drugs?) As it is, one can be charged anything the supplier wishes to ask, and rarely do those move downward. Yes, we are all trapped in the net of greed. It's amoral, and unsustainable. You never mention where the price gouging begins, which impacts pricing for medical services: the source is the extreme and outrageous percentages of profit corporations make on medical supplies, devices and equipment. There should be a cap on the profit margin for all medical items. The uncontrolled cost isn't in labor, as hosp employees are paid fairly with the vast majority of healthcare personnel living check to check. Very few are "rich". No generous bonus and compensation packages, except for CEOs. The biggest scam is the astronomical costs that hospitals have to incur for every item and service that is purchased. How would actual costs be determined? Are there any studies or mechanisms by which costs can be easily and fairly equated and attributed to a service? I ran into the "wall of obfuscation" when we tried to get a price for an MRI my husband needed, because it seemed likely that paying cash out of pocket would be less expensive than the co-pay required by our insurance. Simply could not get an answer, because there is no answer. We paid cash, but submitted the provider's cost to insurance just to see what they would pay, and it did end up costing us less to pay cash. But we were flying blind. And I wonder if transparent pricing with no discounts would quickly lead to single payer to simplify healthcare even more. Medicaid works well & is much less expensive to administer than any "private' health insurance company. But what would that do to health insurance company employees? A lot to think about. This makes so much sense, so how can it possibly be adopted in todays political environment that seems to only seems to go against common sense ideas and solutions? Here's hoping. 100% behind you and do a lot of RBR/Cost Plus plans with my clients. Love reading your literature and seeing you on Fox News. Keep it coming Steve! This article was so enlightening and begs the question; Why can't Congress figure this out and implement a viable alternative to ACA using the guidelines in the article? Seems to be a no brainer, however, it would mean there would be no campaign contributions from pharmaceutical lobbyists. Obviously, there need to be tweaks to the ACA without dismantling it and putting millions of people at risk. Yes, it's a step to right direction. Unfortunately, if implemented, it would not bring the pricing up to par with the other countries. Another serious problem is litigations that drives doctor fees incredibly. This need to be addressed too if we want medicare and ss system to live forever. Let's not stop at health care. Lets include the automotive market as well. Post the sale price. No special discounts except special sales events where everybody gets the same price. So Okay. "Chest X-Rays, this week only, $10.00." Shop before the sale ends. Just good sense for healthcare! Finally, an explanation/solution that is easily digestible to the average joe. Now how do we get "the powers that be" to listen and take this action? Brains,Trains and other means of waking up our ASLEEP pols. It all boils down BASICALLY to those currently "destitute" individuals slash REFUGEES, Illegal/UN documented/brought here to prosper off of us the TAX payers backs!! We as SENIORS deserve what we have for decades PAID into and it now is being given away to whoever puts their empty hands out!! Out of network,out of service it is all BS and everyone should be able to see any provider period!! I fully support this proposed legislation. Well said, but what next? But what really can be done? Even with the power of social media and the many sites that try to go up against these institutions, nothing much ever happens. It's a massive ponzi scheme, but how do you propose to gain any traction on upsetting it? I will contact my Senators with this information. THANK YOU for getting to the heart of the health care issue! This sounds like a good solution. How can we fix this? Thank you Steven for shining a light on this terrible injustice that is forced on all Americans. Keep writing and we'll keep sharing your very important messages. I totally agree .But don't see our elected officials going along as long as their healthcare is totally different , paid for by us , an not an issue to them . We've got to make THIS the focus of the story! All our eyes, like in a shell game, are on the wrong thing, the insurance end. One of the most important functions "networks" provide is a quality of care review and accountability should a problem arise. In a free market - where attorneys charge $350 - $450 to address malpractice and unethical behavior by providers - who will pay for advocacy? How will the damaged party be restorred? The pharmaceutical industry is a by product of big oil, they rig prices as well and are also not held accountable. Maybe we are healthier than we know. Maybe we have been harmed due to unethical government practices that allow for Water contaminants such as fluoride and lead to flow in our waters. Maybe big oil is also big chemical that can sell products that damage Our planet. Maybe it is all connected. This is very needed and long overdue. This can be a key improvement of present health care plans both in delivery of services and price clarification and reduction. Customers rate in the same zip code. The corner the market. Insurance co's pay or patients ( insured ) have no place to go. Like the Mafia. Our premiums reflect the tip off. The do it with a smile. We then people will group together and require our representative to remedy this illness in America. I agree. We need to make healthcare a consumer product. The insurance rates will then go down. if fair, open pricing is established in this country, an option for middle class and above would be to pay out of pocket for routine preventative and non-catastrophic care and only buy insurance for catastrophic care. At times, I have gone to an out-of-network provider and negotiated a fair, reasonable fee (Sometimes they indicated that this upfront payment is enticing to them since it avoids a lot of insurance paperwork). The only down side I see is that some financially tight folks may then avoid routine care until it becomes catastrophic care. Let's push for it although the resistance from politicians and lobbyists will be great. But we must resist the order of things or improvemnt will never come. Thank you for writing this article , Steven. The Surgery Center of Oklahoma is definitely on the right track. They do not accept insurance of any kind. Pricing is completely transparent. One knows exactly what a procedure will cost and pays for the procedure up front in full. Because they do not accept insurance, and don't get any federal funding, they do not have to follow the strict rules that are mandated to those facilities that do get funding from the government. As a result patients are paying a fraction of the cost that hospitals and others charge. I saw on a news piece that a man from Texas had a rotator cuff repair and paid $10,000 for the procedure at the Oklahoma surgery center. The price was $40,000 at his Texas hospital. Talk about price gouging. Hope other facilities can model themselves after this trail blazer.